WCC ROYAL BLUE HONDO is 21.09% Royal King - ROYAL KING, The ELITE of Elite Cow Horses, Royal King’s Record Includes - Hall of Fame Inductee, 1997; Hall of Fame Producer; Reserve World Champion; Top Ten World Show; ROM & Superior Performance; AQHA Superior Cutting Horse Award; NCHA Money Earner of $24,003.19, earning his NCHA Certificate of Ability, and Bronze & Silver Awards. Royal King placed among the NCHA’s Top 10 Annual Money Earners 4 Times in his Career. Royal King’s legacy has been and remains extremely influential in the reining and working Cow Horse industries. 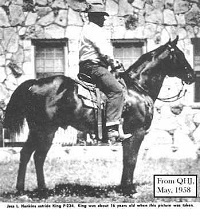 In May, 2011 an AQHA historical marker was placed in Royal Kings honor in Comanche, Texas. Leading Sire of Performance Point Earners in 1959 & 1963-67, Sired 590 Registered Foals. In Royal King’s first foal crop, 12 of 13 foals earned AQHA Performance Registers of Merit. 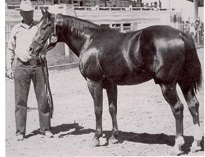 Ten of Royal King’s foals competed at the first Quarter Horse Show at the Texas State Fair in 1947. Royal King's daughter Royal Tincie, who herself was line bred 62.50% Royal King, produced NCHA Money Earners and the NCHA All Time Leading Producing Broodmare Royal Blue Boon who was Line Bred 31.25% Royal King. Royal Smart, who produced multiple AQHA Cutting World Champions Royal Santana and Smart Peppy. Smart Peppy was dam of NCHA Triple-Crown Winner Smart Little Lena. It is believed that Royal King has an attribute described as the X-Factor. A recessive gene that can only be passed onto the mares. Royal King goes back in lineage to the incredibly gifted Thoroughbred Eclipse an outstanding racehorse who literally possessed a large heart. When he died his heart was weighed and found to be nearly three times the average weight of a Thoroughbred's heart. Research indicates that the gene that carries this trait could only be passed onto his daughters. Royal King’s Legacy has been and remains Extremely Influential in the Reining, Cutting and Working Cow Horse Industries. In May, 2011 an AQHA Historical Marker was placed in Royal Kings honor in Comanche, Texas. WCC ROYAL BLUE HONDO is also 12.79% King P234 - who produced on of History’s MOST Prolific Dynasties, and is still extremely influential today. King is a Hall OF Fame Inductee and Hall of Fame Producer. Stallion Offspring Record for King; Superior Halter Offspring; Superior Performance Offspring; AQHA Champion Offspring; ROM Performance Offspring; Race ROM Offspring; NCHA Money-earners; NRHA Money Earners; Race Money-earners. For more information on the King P234 Legacy: King P234 ... the Leader of Quarter Horse Cadence ... Then ... (horsesonly.com) This article is dedicated to all those King lovers, breeders, riders and older folks, like me, who like the security those Kings provide. WCC ROYAL BLUE HONDO is a grandson of Peptoboonsmal - PEPTOBOONSMAL is the earner of $180,487: 1995 NCHA Open Futurity Champion; 1996 Bonanza 4-Year-Old Open Derby Champion; 4th, 1996 NCHA Open Super Stakes; 1996 Gold Coast Open Derby Champion. SIRE RECORD PEPTOBOONSMAL is the 2014 Equi-Stat #4 Leading Cutting Sire and NRCHA #2 Leading Sire. His offspring have earned over $24,000,000.00. Peptoboonsmal ranked seventh among all-time reined cow horse sires and eighth among all-time cutting sires through 2013, according to Equi-Stat . Statistics updated through April 2014 show he had sired cutting horses who have earned $21,014,619.00 plus reined cow horses who had earned $1,371,605.00 and reining horses who had earned $263,728. 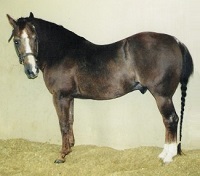 Royal Blue Boon AQHA #1601972 was the first QH to be cloned. Royal Blue Boon died Oct 2011 at age 31. 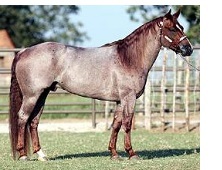 The outstanding Blue Roan mare was foaled in 1980 and was sired by the stallion Boon Bar. Boon Bar a Doc Bar son has sired progeny that have earned over $3 million in NCHA prize money including Royal Blue Boon herself earning $381,764 in the cutting pen. She has produced 17 earners who have earned $2,614,201 to date. 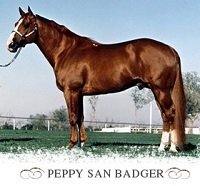 Her most famous son is without a doubt the Peppy San Badger son Peptoboonsmal, himself having a phenomenal record as a sire as well as being an NCHA Futurity Champion. Her most successful offspring to show in the cutting arena is Red White and Boon, a Smart Little Lena Gelding who has earned over $900,000 in the cutting pen and is the world’s highest NCHA money earner. Other get include Peppys From Heaven NCHA Derby Champion, Mecom Blue, Dual Pep mare Autumn Blue LTE $259, 685 and Full Brother Duals Blue Boon LTE $197,440 to name a few. It is suggested that Royal Blue Boons phenomenal success as a dam is a result of having a double cross of Royal King in her bottom line. It is believed that Royal King has an attribute described as the X Factor. A recessive gene that can only be passed onto the mares. Royal King goes back in lineage to the incredibly gifted Thoroughbred Eclipse an outstanding racehorse who literally possessed a large heart. When he died his heart was weighed and found to be nearly three times the average weight of a Thoroughbreds heart. Research indicates that the gene that carries this trait could only be passed onto his daughters. So through the bottom line it is believed that Royal Blue Boon herself carries this gene. Of course Australia has acquired her legacy through the Peptoboonsmal son Peptos Stylish Oak who is one of Australia’s leading All Time Sires and currently the Leading sire of cutting horses for 2011. So let’s remember Royal Blue Boon as the worlds leading dam of NCHA money earners, and herself a phenomenal performer in the cutting pen. WCC ROYAL BLUE HONDO is an own grandson of Waggoner Royal, an exceptional producing son of Royal King foaled 1963. 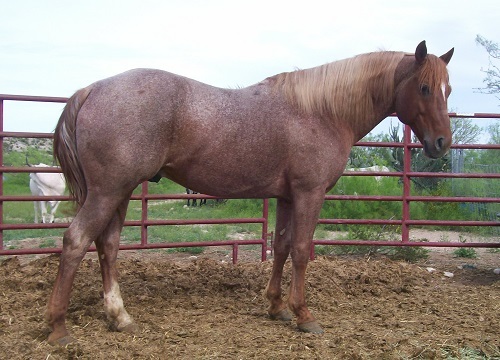 WCC ROYAL BLUE HONDO is a great grandson of Peppy San Badger - AQHA & NCHA Hall of Fame (2008) Foaled: 04/01/1974. In 1978 he was sold to the King Ranch of Texas, where he was a breeding stallion until his death in 2005. 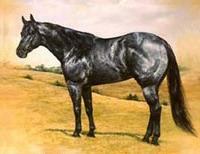 #4-leading cutting horse sire of all time. WCC ROYAL BLUE HONDO is also a great grandson of sorrel rabicano Smart Little Lena.